Manchester United came back from two goals down to win yesterday’s FA Youth Cup Sixth Round clash 3-2 against Liverpool. 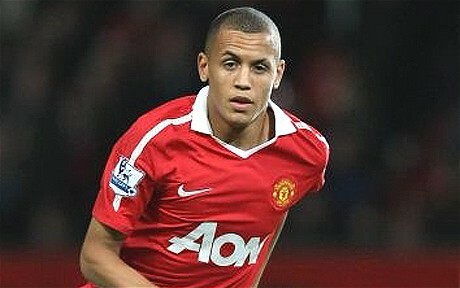 Ravel Morrison scored a brace for the Red Devils as they raced into the semi-finals where they will meet Chelsea. Liverpool charged into a two goal lead before being pegged back during the second half. The game was marred by controversy as both sides finished the game with just nine men each. Stephen Sama, Paul Pogba, Connor Coady and Tyler Blackett all saw red in a fiery encounter played at Anfield. Adam Morgans scored both goals either side of half time to give Liverpool a strong lead. A powerful shot on 33 minutes allowed Morgan to get his first and his second came courtesy of an assist by Brad Smith after 53 minutes. The game completely turned on it’s head when United were awarded a penalty for a challenge on Ryan Tunnicliffe. Paul Pogba converted the kick but was shown a yellow card for an unsportsman-like run up which also happened to be his second yellow of the game. This meant he was sent down the tunnel and the penalty kick was ordered to be retaken. Cole made no mistake converting the second penalty and turned provider when he set up Ravel Morrison to draw Manchester United level. Just when the game looked like going into extra time, Ravel Morrison popped up with a stunning effort which booked United’s place in the last four. Morrison rifled an unstoppable volley into the bottom right hand corner to top off a stunning performance from the youngster.